London offers so much in its city limits, it’s easy to fill up an entire vacation without straying far from the Thames. Days fly by in the markets, the museums, the shows and the National Trust and London Partner properties. But for all of its many attractions, one of London’s greatest assets is its train stations, bus depots, car rentals and airports. To any anglophile, London’s function as a portal to the rest of the UK is a huge part of the city’s charm. In 2010, while studying in London, I was lucky enough to take several trips out of the city, exploring the UK beyond my temporary home in the capital. No weekend trip was better than my visit to Stonehenge, Avebury and Stratford-upon-Avon, an itinerary that lends itself to visits to Charlecote Park and Waddesdon Manor as well. If you find yourself with a day or two to spare while visiting London, I can’t recommend this short trip highly enough. It’s a perfect sampler of different facets of British culture, offering glimpses into ancient history, literary greatness and idyllic country life. You need a rental car to do the trip in a single go, but you can break it up and do a couple day-trips out of London by train, too. However you travel, bring your Royal Oak membership with you on this great London getaway and take in some of the best properties that England has to offer. 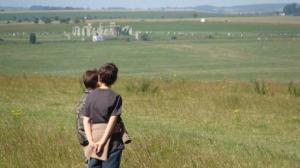 Just two hours from London by train or car, the Stonehenge landscape is world-renowned, and with reason. The National Trust’s preservation of the landscape ensures that the setting loses none of its mystique to the modern world. Walk across these grasslands and discover pre-historic landmarks and burial mounds, including Avenue and King Barrow Ridge, and the remains of a Neolithic village. In 2013, English Heritage reopened the Stonehenge Visitor Centre, offering impressive historical context for the iconic stones. 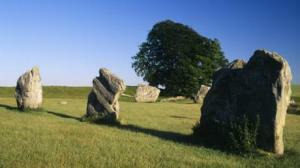 Avebury, Wiltshire has a stone circle even older than Stonhenge. A World Heritage Site, Avebury is actually older than the iconic Stonehenge: its stone circle is the oldest in the world. The circle encloses a quaint village, and visitors will enjoy the Alexander Keiller Museum, which displays artifacts from the circle, and Avebury Manor, which celebrates and reflects the lives of the people who once lived at Avebury. A stop at Shakespeare’s hometown is a must for literary and dramatic anglophiles, and the town does not disappoint. 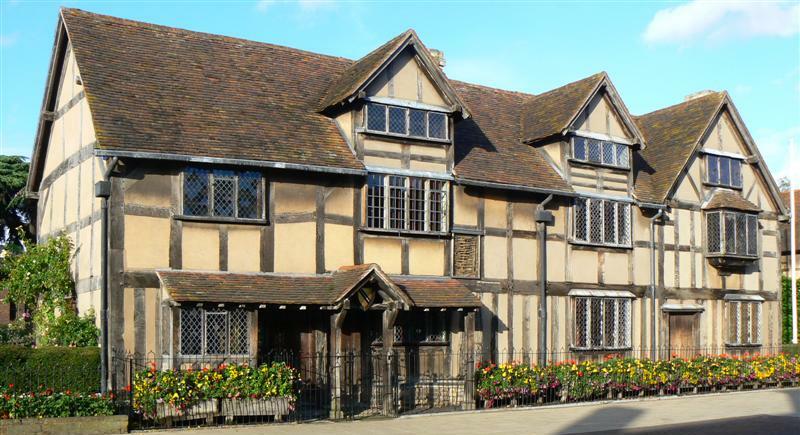 It’s a celebration of the Bard’s tradtion, and highlights include a visit to Shakespeare’s grave in the Holy Trinity Church, his family home, and a production from The Royal Shakespeare Company. When I visited, the performance of Julius Caesar was incredible, and I can’t’ recommend a visit highly enough. 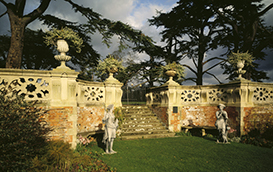 Designed by Capability Brown, Charlecote Park blends the English garden and home beautifully. The picturesque landscape surrounds a Victorian manor, giving visitors a taste of 19th century country life. In 2014, Royal Oak sent an English garden historian to research the park. You can read all about Eduard’s experience on our scholarships page. A trip to another 19th-century home, Waddesdon Manor, is the perfect way to cap off your weekend. 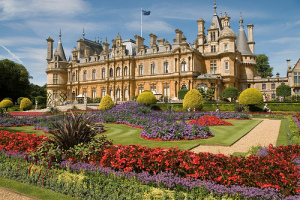 A French Renaissance-style chateau, Waddesdon offers bright colors, ornate architectural details and elaborate Victorian gardens. The roccoco style Aviary houses countless rare birds and the grounds beckon visitors for a woodland walk. Don’t miss out on a visit to this lavish property!